During the time when the EPA lowered the arsenic standard for drinkable water from 50 parts to 10 per billion in 2001, a total of 3,000 waters systems were violated. Even today, almost one thousand systems are still in violation. A decade has passed after the Environmental Protection Agency in the U.S. took aggressive action to control the arsenic in drinking water and several reports that came in had tallied that almost 1,000 water systems that serves more than 1 million people are still not in compliance. The ones that were affected the most are those 914 small systems that don’t have the funds to meet the arsenic standard. However, there are several lobby groups, together with some legislation proposed in the Senate, that are seeking to widen their funding to the poorest residents in America that will help finance their system upgrades. Since third of the water systems that were identified a decade ago are unable to comply with public health concerns, this gave competition among the state of environmental regulation in the US, 21st century modern science and the nation’s economic outlook. The monitoring equipment can easily identify the problem which will then push the government to set a standard. But despite this, the nation lacks the funding in solving problems for those populations who were not capable enough to handle the burden. The funding issued by the government to improve the drinking water treatment weren’t available until 1997 wherein the Drinking Water State Revolving Fund was established during that time. Most of the federal funding was focused at sewage treatment facilities. The Water Pollution Control Act of 1956 set the standards for federal cost share at about 55% which in result provided $50 million a year for all construction relating to waste water treatment. By 1972, the Clean Water Act increased the cost’s share to 75% which provides $18 billion in grants for all states to build their waste water facilities. But in 1981, the cost share fell back to 55% again. From 1987 onward, grants started to phase out in order to make way for state-administered and federally financed subsidized loans wherein it is not in any way similar to grants because these have to be paid. An oil town in West Texas called Andrews is one of those that struggled during the implementation of the small system. Residents in Andrews cannot easily acquire drinking water that abides to the federal standard for arsenic through their homes. This easily gave a lot of problems to both the towns and the residents. So in order to comply with the standards being set but will not allow residential water bills to double, officials in Andrews started to pilot a project that installs purification devices under the sink of every home in the city. There were 40 units that are out for trials which ran through April of 2012. Once this test project turns out to be successful, that’s the time that the state drinking water regulator will authorize a full deployment. This will then be the first “point-of-use” technologies approved in Texas that still complies with federal drinking water standards. In the meantime, the City Hall is the only one capable of providing water that abides to the arsenic standards set by the Environmental Protection Agency in the US. There are three taps that juts from the north side of the building in which they will be monitored by the offices in the water department. The first tap is for cleaning containers while the second and third are fitted with purification devices that will remove the fluoride and arsenic. Bert Lopez, assistant director of water and waste water in the city of Andrews, told the Circle of Blue that the city is capable of supplying up to 5,500 liters of water each day from their taps to the residents who brings their container along with them. Residents never miss this opportunity and they bring along whatever container they have just to fill it up with water. The city does not track how much people are using the arsenic-free source so if the average person drinks two liters of water per day, then it is possible that about a half of the residents are using the public tap rather than sipping the piped water that the city always uses. Back in 2001 when the EPA issued its arsenic rule at the Clinton Administration, thousands of water systems were forced to change the way they supply their water. It was estimated that around 3,000 systems that serves 11 million people wouldn’t abide to the compliance. In addition, the new rule also affected more than 1,000 community water systems like nursing homes, churches and factories. Christie Todd Whitman, head of EPA, said that she will review the new standard for arsenic which was lowered from 50 parts per billion down to 10. A September 2011 report from the National Research Council has come to a conclusion that the EPA underestimated the health risk at 10ppb. Whitman was able to uphold the previous decision of the administration in October 2001 and the rule was adjusted to take effect the next year. Public water systems were given up until 2006 to meet with the new rule but they can still apply for 9 years of extensions which will give them until 2015 to use the new technology for their treatment programs. The new ruling affected mostly the Southwest, Upper Midwest and Northeast because these are the regions where the groundwater is naturally contaminated and is the main supply source. This means that large systems have to install filtration technology for their treatment plants. Many also opted for the process known as ion exchange wherein it swaps benign molecules for arsenic ions as they go through the filters coated in resin. For small systems, this solution will be similar to adding airbag to cars that don’t have wheels or chassis. By 2010, a total of 934 violators were documented and it mostly consists of small rural systems that only serve around 10,000 people and mostly serving only about a 100. This makes the smaller systems have difficulty in meeting the standards and make water affordable at the same time. Also, included in this small system is Andrews since it also has difficulty in coping up with the new rule. In Andrews, the water department added chlorine for their disinfectant but other than that, the water is also distributed directly from the well field. However, because of the high cost of the treatment plan ($11 million to build and a yearly maintenance and operation cost of $5 million), it has been disregarded on being a compliance option. The city of Andrews now operates under a thing called a bilateral compliance agreement wherein a deal was negotiated together with the Texas Commission on Environmental Quality (TCEQ) and is considered as the state’s regulator for drinking water. As for the Safe Drinking Water Act, it is stated that all states in the U.S. except for Wyoming have the “primacy” wherein they are in charge for the enforcement and monitoring. The results for these are then reported to the EPA which also oversees the whole body. TCEQ appealed to the EPA for less stringent in enforcement standards and later on approved the approach in 2006. Arsenic is an element that naturally occurs in the earth’s crust and traces of it can be commonly spread throughout the environment. 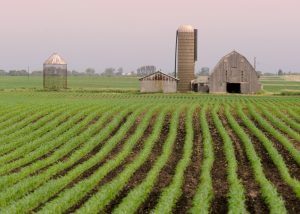 The arsenic in soil originated naturally and human activities in the past also contributed to its increase in some areas. Arsenic is found naturally in groundwater and also can be the result of pesticide and wood preservative. In some cities today, there are high traces of arsenic found in the water. This can be very dangerous especially if a person is exposed to high levels of it. The US Environmental Protection Agency (EPA) limits the concentration of arsenic in all drinking waters to 10 parts per billion (ppb). The Food and Drug Administration (FDA) has set a limitation for arsenic in bottled water and apple juice to 10 ppb as well. As of now, foods don’t have federal limits yet for the use of arsenic. For industrial sources, the EPA also limited the use of arsenic for their production and operation since it can easily disperse the element into the environment. The same thing goes for pesticides since spraying it can cause the fumes to be delivered through the air and can risk the chances that it can be inhaled by people nearby. If your water is contaminated with arsenic, then it can be difficult to detect since it doesn’t give off any smell, taste or color. The only way to determine its presence is through a lab test. 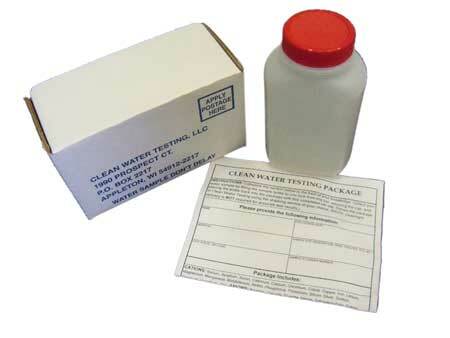 If you want to have your water tested, it’s recommended that you bring it to a Department of Environmental Protection (DEP) certified lab since they are credited to analyze the arsenic levels. The average cost for the testing is less than $50 per sample. 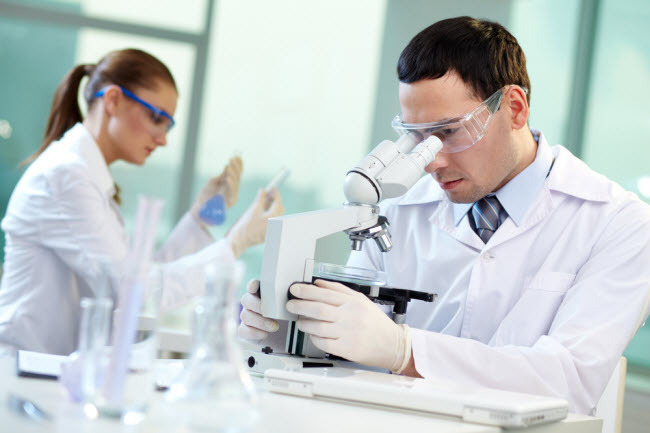 Laboratories will usually teach you the correct process for collecting the water or they will do it themselves. If the arsenic in your water is above the new MCL of 5µg/L, don’t use it for any consumption such as drinking, mixing, cooking and other consumptive ways. It would be wise to follow arsenic removal methods to ensure the safety of water use in your household. The DEP also recommends that all household should follow arsenic removal methods if ever it reaches the level of above 5µg/L. But for those below 5µg/L, corrective actions can only be a personal decision as of the moment. If you plan on doing the arsenic treatment on your own, make sure to avoid boiling the water at all cost. This process will just increase the concentration of arsenic in your water. Water will just evaporate and the arsenic is there to stay thus increasing its level in your water. Arsenic does not evaporate from drinking water. This also means that inhalation of the element cannot be normally done in water. There are also no risks that arsenic can be absorbed in the skin so showering, bathing and washing doesn’t pose any danger to arsenic exposure at all. If you want to reduce the level of arsenic in your water, then there are short-term and long-term methods that you can follow. For the meantime, you can resolve to purchasing bottled water for cooking and drinking as a means of short-term solution for your arsenic problem. 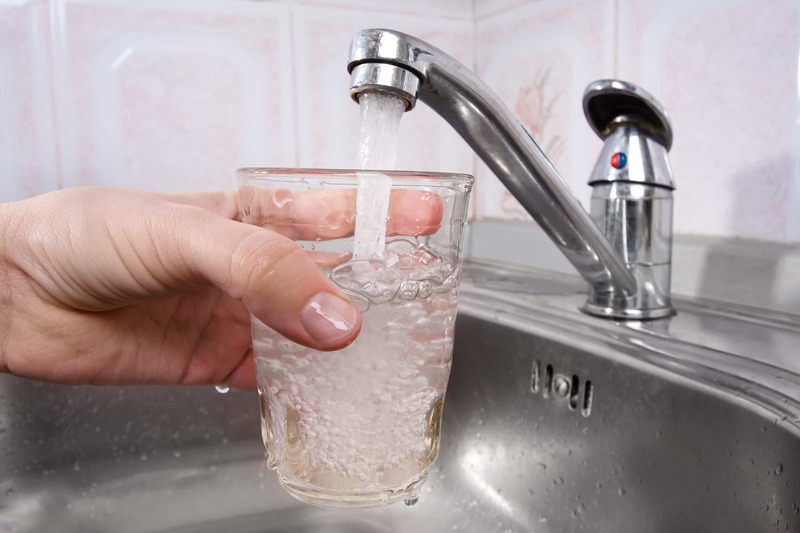 If the arsenic level in your home is above 5µg/L, it’s recommended that you switch your connection to a public water system. But in most areas, this kind of solution is not cost-effective. You can replace your well if you want but the local geology and sources wouldn’t suggest that drilling a new one can remove arsenic in your water and increase its quality. But if the water system connection is not available in your community, then water treatment systems can be installed in your home as an alternative. The preferred treatment technology for this is the titanium dioxide media filter system. This particular system works effectively in removing the arsenic and it is both easy to maintain and operate. It also won’t let arsenic be returned to the environment thus making it the effective one so far. It lasts longer than the other type of media (ferric oxide). Another option that you can is a POU cartridge system which will remove the arsenic from a specific tap wherein in common cases, the kitchen sink. These systems can produce two quarts per minute and they are used to treat the water for drinking and cooking. The duration of these cartridges can last for up to a year and it costs $400 for the installation and $120 for the maintenance. There are also other technologies that can be used to removing arsenic which includes anion exchange and reverse osmosis. In order to choose the best treatment system, household owners should consult with local health officers before deciding on which one to use since the water chemistry, geology and use of the water are an important basis for a treatment option. If you want further information and want to get a detailed explanation about the removal systems available for you, then it’s best to contact your local health officer or a water treatment company that specializes in residential water treatment. You need to also inquire if a local health department permit is required in such installation of a system for your home. 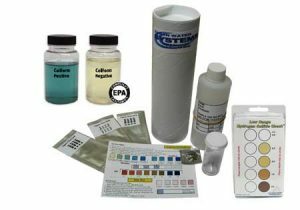 If ever a removal system has been installed in your home, make sure to conduct another test to see if it indeed treated your water and removed the arsenic contamination. This will ensure that the system you have installed for your home is working effectively and returned the arsenic to an acceptable level.